When danger threatens in the icy deep, when hope seems lost and the end looks nigh, there's only one fish with the guts to save the day. 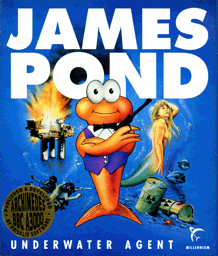 Now's the time to call James Pond - Underwater Agent. He's fearless, he's clever, he's ozone-friendly. James Pond, the fish with a mission (twelve missions, in fact) will take on anything, from retrieving radioactive canisters and plugging the leaks in oil tankers to rescuing doomed lobsters, mermaids and rare orchids from extinction. 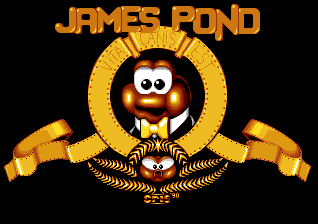 Now you can take the part of James Pond in this all-action arcade adventure. With twelve levels and lots of secret areas to explore, brilliant graphics and game design, this sub-sea spectacular is not to be missed! 12 momentous missions, plus lots of bonus chambers. 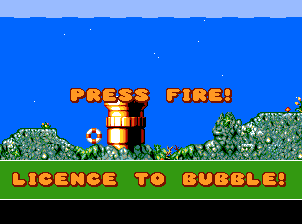 Choice of weapons or just blow up baddies with bubble-action! 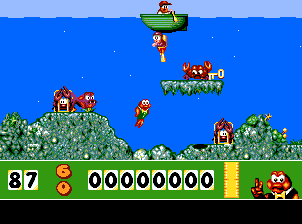 So many different enemies and pickups you'll wish you had eight tentacles!